In my newest book, Hacking Digital Learning Strategies: 10 Ways to Launch EdTech Missions in Your Classroom (out soon), I’ve dedicated one of the missions to citizen science projects. One of the most amazing citizen projects, the Eclipse Ballooning Project, will allow you and your students to watch the livestream of the historic total solar eclipse on Aug. 21st. Mark your calendars, because no student or educator should miss this historic event! The Eclipse Ballooning Project is a citizen science project organized by NASA. Over 50 student teams (middle school to college) across the US are sending high-altitude balloons to test the ability of life to survive beyond Earth as well as live stream the total solar eclipse. Below, find citizen science projects, lesson plans and activities to prepare you for this momentous learning opportunity! Citizen science projects span all subjects. Through citizen science your students’ learning makes a real impact on the world. NASA activities spanning a wide variety of subjects, including art. Educational materials and videos for all grade levels and subjects by the American Astronomical Society. Simulate an eclipse in the classroom by NASA. A teacher toolkit, animation, video, webinar, and activities by PBS Learning Media. National Geographic has several resources, including a video, in their article, How to See the Best Total Solar Eclipse in a Century. Learners can join the Solar Eclipse 2017 Life Responds citizen science project and record eclipse-related animal behavior with the iNaturalist iOS/Android app. Join the Eclipse Soundscapes citizen science project and help create a multisensory 3D sound experience of the August 21st eclipse for the blind and everyone! Join the Eclipse Megamovie citizen science project by taking photos of the solar eclipse. These images will be stitched together to create an expanded and continuous view of the total eclipse as it crosses the US. 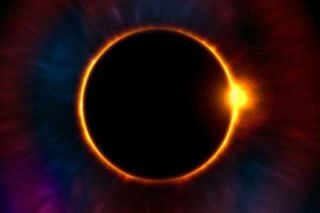 The Eclipse Megamovie Project has a cool simulator of the eclipse and other learning resources. Find many more awesome citizen science projects related to the solar eclipse here. Check out the free lesson plans from the Eclipse Ballooning Project covering a wide range of subjects. Activities, a video, games and more by BrainPop! An Observer’s Guide to Viewing the Eclipse by Fraknoi and Schatz. Take the free Coursera online course about the 2017 Solar Eclipse. ORISE Total Solar Eclipse Activities dealing with geometry, culture, etc. Posters and more to prepare your library for the solar eclipse! Challenge: Use one of these ideas to excite students about the total solar eclipse.